Much of Darjeeling district went deficient in rainfall in May2016 whereas in Sikkim, there was abundant rain. Richu bridge in North Sikkim was washed away following the intense rains of 15/16May2016 and that proved to be an unexpected bonanza for hoteliers in Kalimpong with tourists changing their destination from North Sikkim to spend some time in Kalimpong. 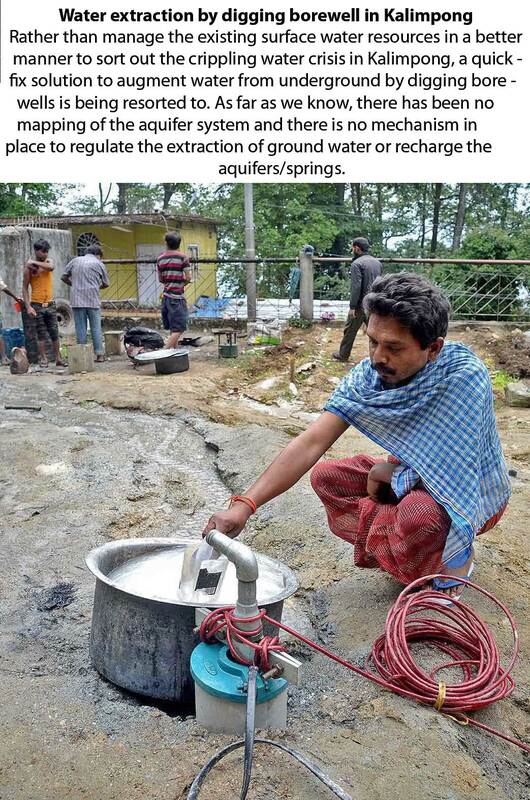 Kalimpong was almost bone dry and desperate people started drilling the mountain aquifers to pump out water. 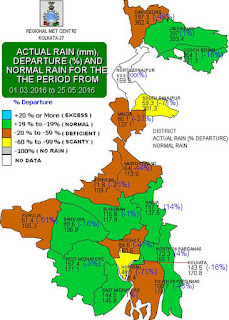 A study done in 2012 by a local NGO, revealed no shortage of surface water for Kalimpong town; the real reason for this shortfall only being mismanagement and corruption. As such there is no requirement for drilling bore wells in Kalimpong in the first place. Therefore, STH went on local TV and appealed through the press not to tamper with ground water without a thorough study of our aquifer system and also without plans to recharge drying springs. So far this appeal has only fallen on deaf ears with the GTA announcing that it plans to dig another 10 bore wells in Darjeeling district.